It’s World Cup time, that lovely quadrennial football occasion where English football fans start thinking they’re going to become world champions again while Scots like me moan about the BBC cutting to the England camp at half time during every single match, regardless of who’s playing. Not that I’m bitter. But hey! Never mind that. There are people out there who love football, and people who love video games. And what do you get when someone ticks both boxes? People who love football video games, of course. Look, this isn’t hard. What you may not realise is there have been official World Cup football games since way back in 1986, each trying to help gamers get into the World Cup spirit by capturing the atmosphere of the real-life tournament going on at the same time. I’m a massive fan of ‘event’ football games like this, so I’ve decided to put together this extensive feature listing each of these World Cup games and how they fit into the gaming landscape at the time. Enjoy! The first World Cup to get an officially licensed game was Mexico ‘86, but things didn’t exactly get off to the finest of starts. The licence was acquired by British publisher US Gold, but due to a massive misunderstanding months went by without a single line of code being written. You see, managing director Tim Chaney thought founder Geoff Brown was hiring a developer and sorting out the game’s production, while Brown thought Chaney was handling it instead. When they realised their mistake they got hold of the ever reliable Ocean Software, who had already had huge success with its football game Match Day. Amazingly, though, yet another misunderstanding meant that Ocean sat there waiting for the nod to start working on the project, while Chaney and Brown thought they already had. It quickly emerged that Ocean hadn’t done anything and time was running out, so the pair got in touch with Artic Computing, who’d released an unofficial game in 1984 called World Cup Football. The game was hastily tweaked with the officially licensed touches, and released in a box with goodies like a World Cup wallchart, a poster and a sew-on badge. This wasn’t enough to satisfy angry gamers, though, who felt they’d been tricked into buying a rubbish two-year-old football game. When the next World Cup came around, US Gold lost the licence (perhaps unsurprisingly, considering how much they ballsed up the Mexico ‘86 game). That didn’t stop them releasing a new football game anyway and conveniently getting around the licensing issue by not giving it the official Italia 90 name, but calling it Italy 1990 instead. To its credit, it was an original game this time (playing a little like Kick Off, but with the ball sticking to your players’ feet much easier), and it also came with a hefty 64-page booklet covering all the teams in the actual World Cup. Speaking of which, all 24 qualified teams featured here, from host nation Italy and eventual winners West Germany to teams that instantly date the game, like the U.S.S.R. and Yugoslavia. US Gold wasn’t alone in its skullduggery, mind: there were a bunch of unofficial Italia 90 games, including Codemasters’ Italia 1990 (which was only £4.99 but was a bit piss) and Italy 90 Soccer, which was published by Italian studio Simulmondo and was also rubbish. If all these publishers were releasing unofficial Italia ‘90 games, then who was actually in charge of the legit one? Step forward Virgin Mastertronic, who had the official licence from FIFA. They might as well have tied it to a brick and horsed it into the ocean, though, because World Cup Soccer: Italia 90 was arguably even more disappointing than US Gold’s Mexico 86 effort. Deciding to pull the same trick US Gold did, Virgin took an existing game (a 1989 title called Rick Davis’s World Trophy Soccer) and slapped the official licence on it. 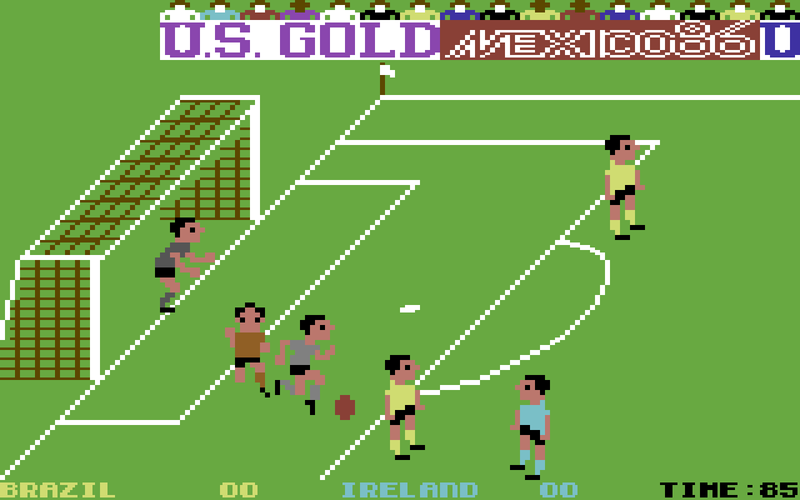 The problem was, World Trophy Soccer only let you play as four teams – England, Italy, Spain or Belgium – and this officially licensed conversion was no different. Sorry, Scots. The strips were the wrong colours too and the tournament mode was nothing like the World Cup, meaning this was an official licence in name only. Since Virgin Mastertronic had the official World Cup licence and also published some Sega games, it decided to team up with Sega to release an official game on its home consoles too. 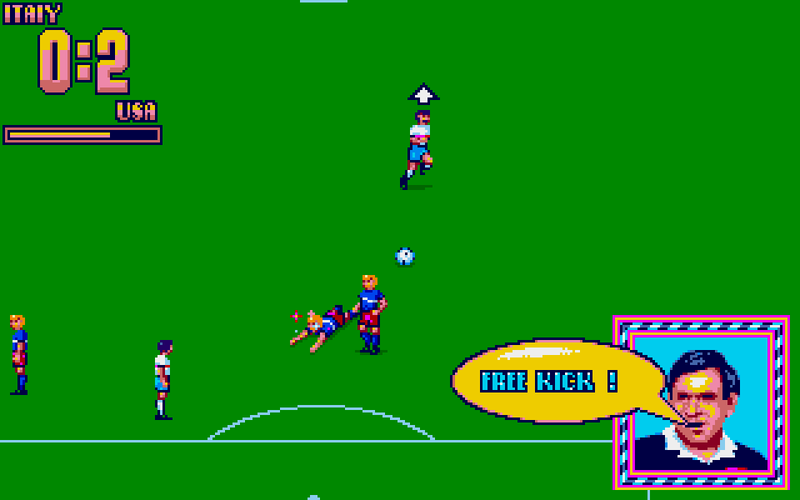 The Mega Drive version of World Cup Italia 90 is actually a rebranded version of World Championship Soccer, one of the earliest games released for the system in North America. It’s pretty much the same game – only with the official World Cup logo and mascot included – offering a top-down view of the action with a heavy emphasis on passing (if you dribble you won’t last more than a few feet). Despite being an official World Cup game, the player names were mostly fake. While it was fairly obvious to work out who some of them were – Scotland’s strikers Douglas and McAfie were supposed to be Dalgliesh and McAvennie – others were more of a mixed bag. Take the England team for example, which has an odd mix of actual names (Lineker, Robson, Hodge), fake names (Silton and Saxon in goals instead of presumably Shilton and Seaman) and just complete fiction (Corwin and Charlston in midfield). For some reason, despite releasing a piss-poor World Cup game in 1986 then releasing an unofficial one in 1990, US Gold managed to get the licence back for the 1994 World Cup in the old Yoo-Ess of States. Released on every format under the sun (it’s frankly amazing that US Gold didn’t port it to the Texas Instruments TI-83 Graphic Calculator), World Cup USA 94 was the first official World Cup game that was actually brand new and not just another game rebranded. I mean, it was still a bit rubbish, but at least this time it was legitimately original. And the shiny Mega CD version also came with two new music tracks by German rock band Scorpions (who sang Rock You Like A Hurricane), because reasons. 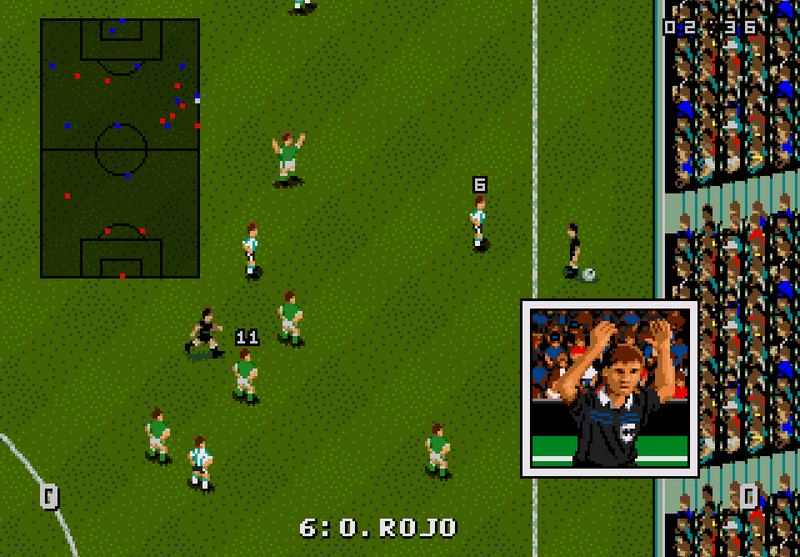 As well as the 24 teams who qualified for the tournament in real life, the USA 94 game was also thoughtful enough to include eight teams who didn’t, which meant fans of Scotland, England, Wales, Portugal, France, Japan, Denmark and Australia were able to play as their own nation’s team in a mediocre football game too. In December 1993, Electronic Arts released FIFA International Soccer, a much-loved Mega Drive and SNES football game with the official FIFA licence. Naturally, this meant that after USA ‘94, FIFA also sorted EA out with the World Cup licence (for everywhere except Japan) to go along with the general FIFA one, and it’s had that licence ever since. Such was the importance of the World Cup name that EA didn’t even wait until the France ‘98 tournament to release a game for it: instead, it added a hefty World Cup mode into the 1998 version of its standard annual FIFA series. Because it wasn’t quite clear by the end of 1997 who had qualified for the World Cup, FIFA 98 added all 172 national teams registered with FIFA at the time and let you take them through a full qualifying campaign to reach the World Cup, then play through the entire tournament to try and win the cup. That dream of lifting the trophy as the Solomon Islands was finally possible. Considering it still had its usual club football in there too – with 189 clubs from 11 different leagues – this was an absolutely enormous game and many still consider it to be one of the best in the series. Winning the World Cup in FIFA 98 was all well and good, but it wasn’t really the proper World Cup: the list of qualified teams was different every time, the fixtures were inaccurate as a result, and there was only one French stadium in the game. Step forward the proper, official World Cup game, featuring the actual groups from France 98 (though you can choose random ones if you prefer), all the official national team kits and every stadium used in the tournament. As well as all 32 teams – France 98 was the first World Cup to expand beyond the usual 24-team format – the game once again included eight nations that didn’t make it, just in case you fancied giving it a go as Canada or Australia. Winning the World Cup unlocked a brilliant Classic mode, where you could play old World Cup final matches complete with all the old rosters, sepia toned graphics for the really old ones and commentary by Kenneth Wolstenholme (aka the chap who said “they think it’s all over… it is now”). Many of these classic games played like my YouTube channel, because they had no subs. 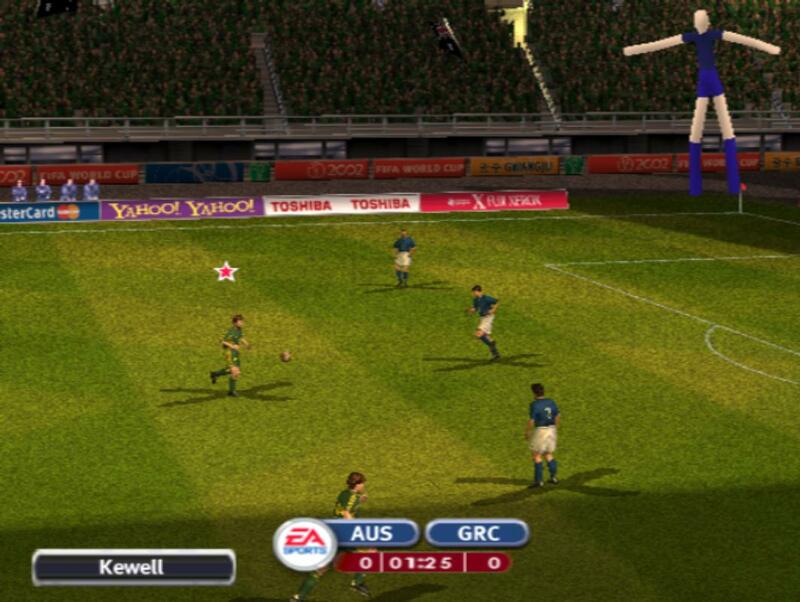 Personal note: this is still my favourite World Cup game from childhood. It used the brilliant FIFA 98 engine and also had an intro video featuring Tubthumping by Chumbawamba, which was nowhere near as annoying then as it is now. You may have noticed I said EA had the World Cup licence for everywhere except Japan. That’s because in the Land of the Rising Sun, those rights went to Konami instead. A bit of context: at this point in gaming history, Konami was absolutely destroying EA when it came to the quality of its football games, thanks to its International Superstar Soccer series. Although the FIFA titles still outsold Konami’s efforts many times over, ‘proper’ gamers knew that the Japanese giant had it where it counted: gameplay. Konami had two different teams, each making different football games for the two main current-gen systems. Its Tokyo-based KCET team was responsible for its PlayStation football titles, known as International Superstar Soccer Pro (which would eventually ‘evolve’ into the Pro Evolution Soccer series). 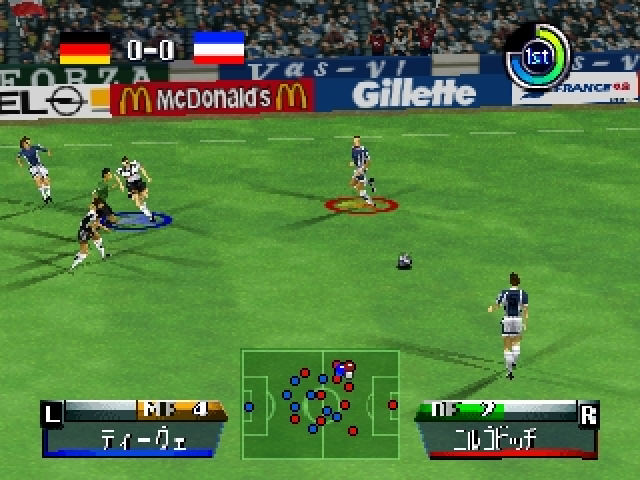 Konami used the World Cup licence, then, to release an official PlayStation World Cup game in Japan using the ISS Pro engine. World Soccer Jikkyou Winning Eleven 3: World Cup France 98 was essentially the game that would become the fantastic ISS Pro 98 in the west, but with real team kits. Being an ISS game meant that by default this was better than EA’s World Cup 98, but nobody in the west really found out at the time because of its Japan-only release. 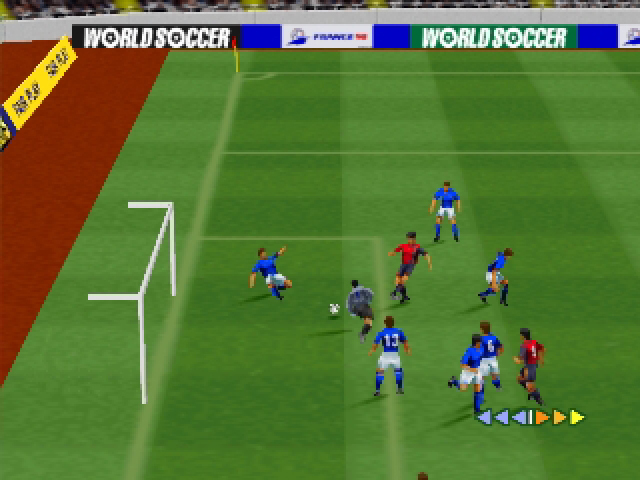 While Konami’s KCET studio developed football games for the PlayStation, over on the Nintendo 64, its Osaka studio Major A worked on the very different International Superstar Soccer 64 and International Superstar Soccer 98. These games were a little more arcade-like than the realistic PlayStation titles, but were still considered among the best football games ever made, with their through ball and one-two buttons in particular making for some lovely, satisfying matches. To make sure Nintendo fans didn’t miss out on the World Cup action, then, Konami also got Major A to give the France 98 treatment to ISS 98, delivering another officially licensed game with real player names and kits. As with the PlayStation equivalent, this was never released outside of Japan, meaning western players enjoyed their EA World Cup game blissfully unaware that Japanese gamers were having more fun. By the new millennium the gap between EA and Konami had widened and there was now no doubt whatsoever where your allegiance should lie: FIFA for the licenses, Pro Evolution Soccer for the gameplay. 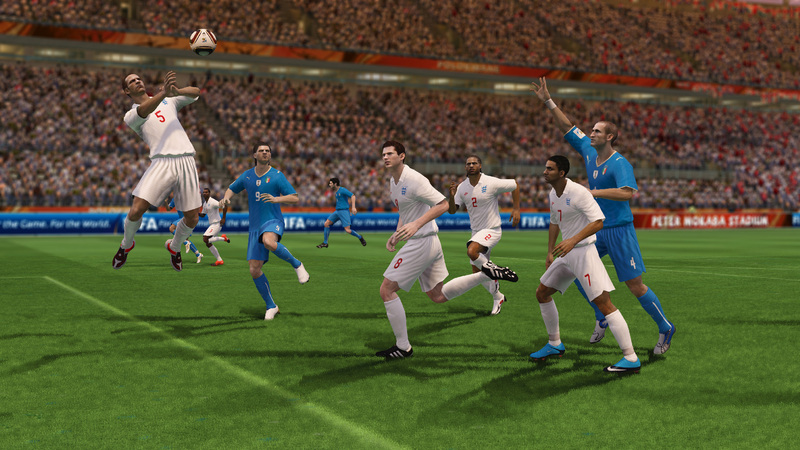 EA’s next World Cup game, then, arrived at arguably the lowest point for the FIFA series. 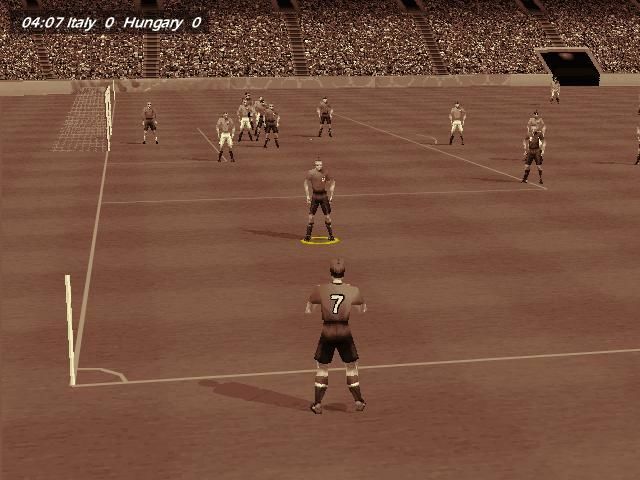 Sandwiched in between FIFA 2002 and 2003, 2002 FIFA World Cup came at a time when EA was introducing drastic new game elements to each new FIFA game – like power bars and ‘freestyle control’ – in a desperate attempt to find something that clicked and won the Pro Evo fans over. At least its accuracy couldn’t be challenged (for the most part). As ever, the game featured real player names, all the actual stadia from the 2002 World Cup in Japan and South Korea, and most of the official kits but not all of them: say hello, generic blue Scotland shirt. Yes, that’s right, Scotland. As with EA’s last World Cup game, a number of teams (nine) that didn’t make the tournament are in there too, so Dutch, Greek, Norwegian and Scottish fans could still represent their country and wonder what could have been. As well as adding tweaks to the gameplay and visual detail from FIFA 2002, EA also went in a completely different direction with the audio presentation, ditching the usual ‘hip’ licensed music featured in the main series in favour of a fully orchestral soundtrack performed by the Vancouver Symphony Orchestra. When the next generation of gaming is here and you aren’t ready to port your football series over to it yet, what do you do? Simple: make a half-arsed feature-free version instead. This was the solution EA went with when the Xbox 360 launched in November 2005, a mere two months after the ‘proper’ FIFA 06 had released on the PS2, GameCube and original Xbox. With 26 different leagues making for over 500 teams, EA just wasn’t ready yet to bring everything over to the world of HD, and so it decided to fudge things with a spin-off. FIFA 06: Road To FIFA World Cup launched exclusively on the Xbox 360 alongside the console, and included 72 national teams. The aim was to qualify for the World Cup… and that’s it. Unlike FIFA 98, you couldn’t actually win the World Cup in this one: once you qualified for the main tournament your job was done and it was game over. This, combined with the fact that EA clearly hadn’t gotten used to making realistic HD-character models yet – everyone looked like zombies covered in slime – made for easily one of the worst FIFA games ever made. This was more like it. With a bit more time available, EA finally gave Xbox 360 owners the next-gen parity they wanted with a World Cup game that included the same features as its less powerful siblings. With 127 teams to choose from (good news Zimbabwe fans, you’re in) both the World Cup tournament itself and the qualifying rounds were available. As well as all the official stadia from the 2006 World Cup in Germany, all the official kits and all the real players, the game also included a Global Challenge mode, where you got to play 40 different scenarios based on real-life moments in World Cup history. It also has an in-game store, where you can spend the points earned by playing the game (ah, the days before microtransactions) unlocking vintage kits, classic players, new boots, balls and special features like invisible walls and turbo modes. 2006 FIFA World Cup was considered an acceptable way to bury the memory of the Xbox 360 version of FIFA 06, and to celebrate Microsoft released a special edition bundle of the XBox 360 which came with a copy of the game and an Adidas-themed faceplate. Hey, that’s right, remember when the Xbox 360 had faceplates? Nowadays you have to buy a whole new console if you want a different-looking one. Good times. By this point EA had turned a corner with FIFA: everything had started to click and the game started feeling far more satisfying to play. Play something like FIFA 09 today and you’ll easily be able to see the foundations set for today’s FIFA games. The inevitable 2010 World Cup tie-in was also a big improvement, offering the most complete package yet for anyone hyped about the South Africa tournament. With the option to play as 199 of the 204 national teams who competed in qualifying (the other five, including Eritrea and Guam, weren’t in there because of “various reasons”), it offered the most comprehensive qualifying mode seen in a World Cup game to date. Naturally, the full tournament was in there too, with all 10 stadiums featured as well as a bunch from the qualifying regions and some generic ones (to make the qualifying stage feel different). The positive reception to the scenario mode from the 2006 game led to its return in 2010, but this time with a nice twist: as well as a Story Of Qualifying mode featuring a bunch of scenarios from the 2010 qualifying campaigns, you could also download a free update while the actual World Cup was going on and play new scenarios based on South Africa 2010 matches shortly after they’d taken place. 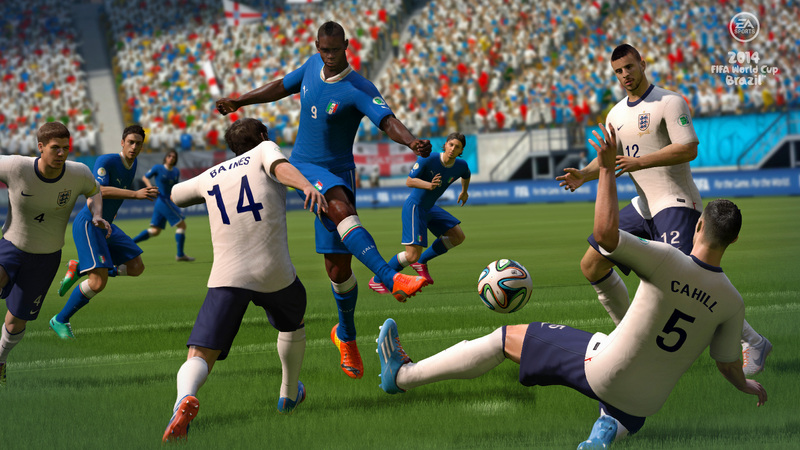 Although the Xbox One and PlayStation 4 had launched five months earlier, EA decided not to bring its 2014 World Cup game to the next generation. 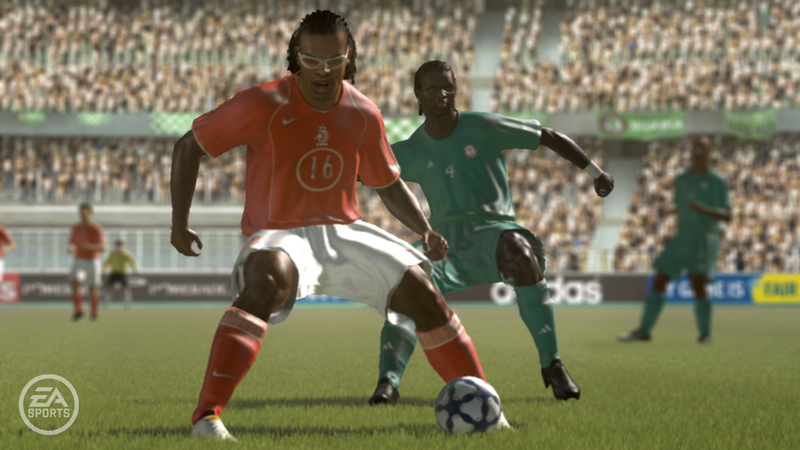 Xbox 360 and PS3 owners, then, got to choose from all 203 national teams who took part in qualifying, as well as the option to take part in an online World Cup against other players. 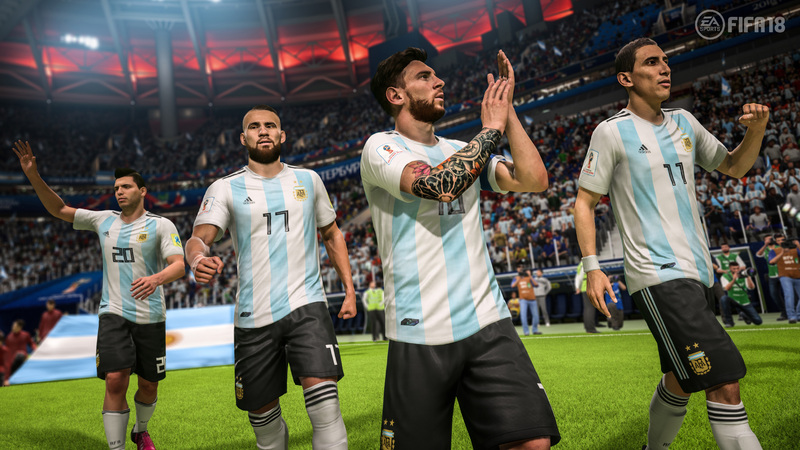 The popular Story Of Qualifying scenario mode returned again, as did the online updates giving new scenarios based on real-life World Cup matches (and this time they were available a mere hour after the match ended). A new online tournament mode called Road To Rio De Janeiro also gave the game some longevity, as players worked their way through each of the 12 venues, taking part in online leagues and trying to win enough points to proceed to the next destination. We didn’t know it at the time, but this was potentially to be the last standalone World Cup game. Since the official World Cup game wasn’t made available for the Xbox One or PS4, early adopters of next-gen systems had to make do with a free World Cup update for FIFA 14’s Ultimate Team mode instead. 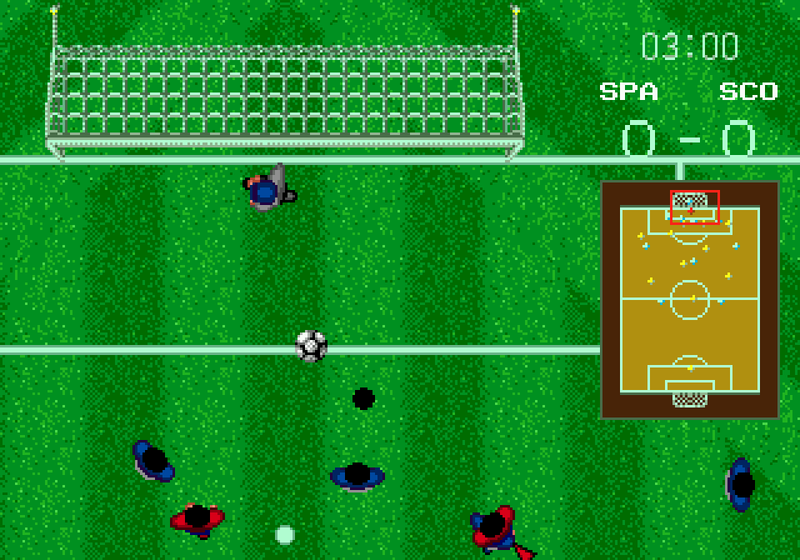 This was a separate mode to the main Ultimate Team and offered single-player and online tournaments, letting you play a World Cup against real-life or AI opponents. It also added some new World Cup themed Ultimate Team items: 32 national team crests and kit, the official World Cup 2014 match ball and a single stadium, the Estadio do Maracana. Safe to say the previous-gen folks won out this time, then. For the first time in 36 years, there’s no standalone World Cup game this year. Owners of FIFA 18 can download a free update which includes a new World Cup 2018 tournament mode, featuring all 32 international teams with updated kits and squads, the real match ball and all 12 Russian stadiums. 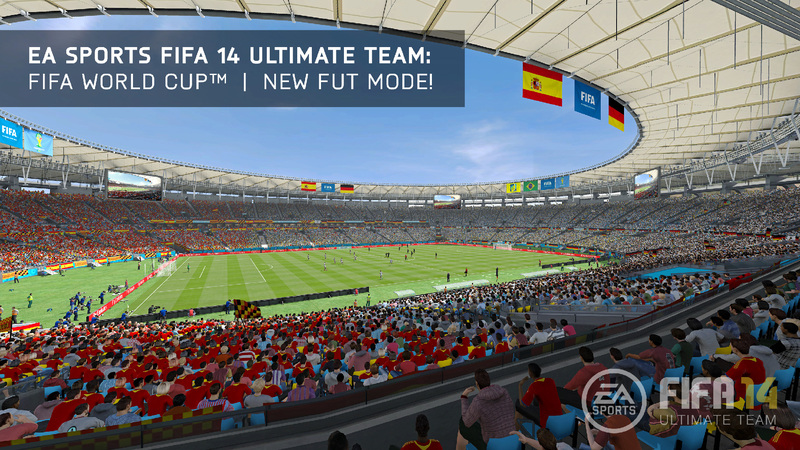 The Ultimate Team mode, meanwhile, gets an update similar to that in FIFA 14, with a separate World Cup Ultimate Team section that lets you make your own squads from the 32 teams in the tournament. While it’s decent enough and passes the time, there’s something slightly disappointing about there not being a proper World Cup game, with qualifying rounds and scenarios and stuff like that. ‘Event’ games like this may only have a limited lifespan, but they help get you in the World Cup mood while they last, in a way that simply adding new players and stadiums doesn’t. Ditching it makes sense in a way: Ultimate Team mode is EA’s biggest money spinner by far, making the company around $650 million every year in microtransactions. Still, unlikely as it may seem, fingers crossed when Qatar 2022 comes around EA will revert back to its old ways and go back to the more traditional method of money-grabbing with a World Cup spin-off game. New to Tired Old Hack? Want to know who the hell was stupid enough to write this article? Find out more here. If you’ve somehow decided you haven’t read enough yet, you can check out my other Complete History articles here. I remember playing Italy 1990 on my PC. It was an ok game, the controls were decent for its time. Ahh man I’ve played at least 3 games on this list. 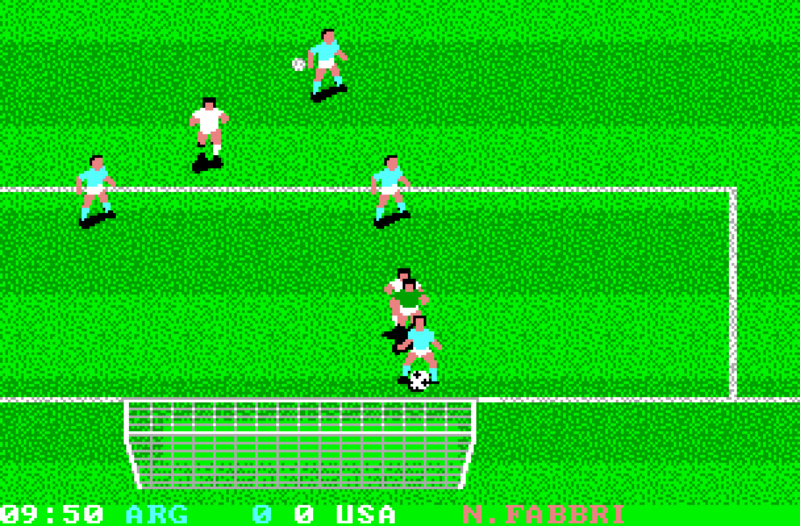 Fond memories of World Cup Italia ’90 on the Master System. 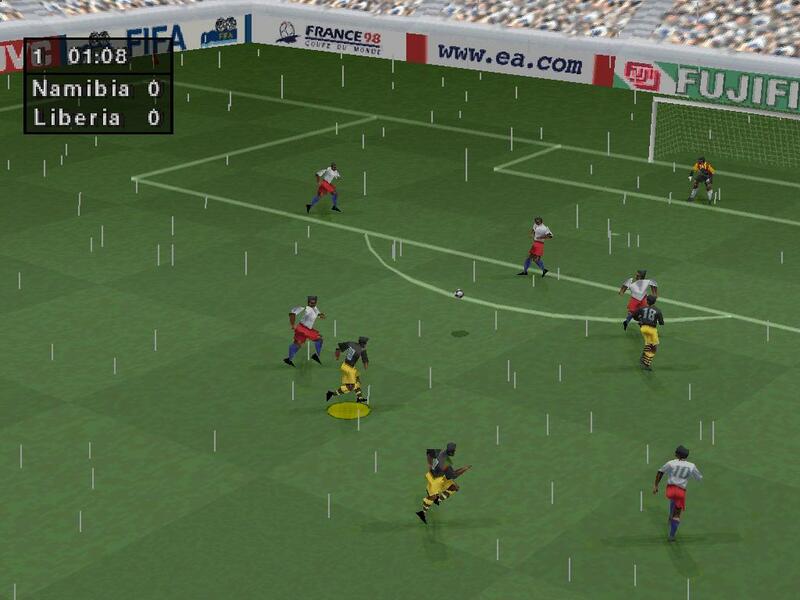 FIFA International was my first SNES footie game and I played to death both FIFA 98 and Road to World Cup on the N64. Did you ever play or review FIFA 64, Chris? I remember reading a magazine review at the time where the screenshots looked worse than PS1. Ugh.